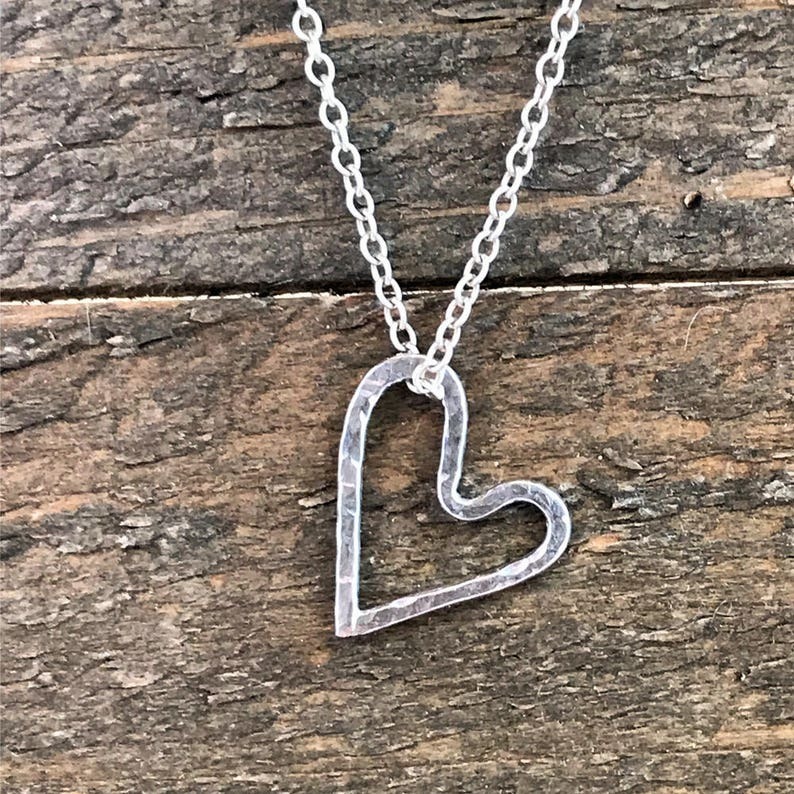 The small heart is hand forged out of heavy-gauge sterling silver wire, hammered, and then textured. The heart is then tumbled and polished. The heart measures approximately 5/8" wide by 3/4" long. Each one is handmade from raw wire at the time it is ordered, so each heart will be unique and may be slightly different from what is pictured. The necklace is handmade from sterling silver cable chain. Choose the length of the necklace from the drop-down menu. All sterling silver components are used in making this necklace, including jump rings and the lobster claw clasp. Each piece is made to order. Great care and time are taken to create each piece. Due to the nature of handmade items, some slight variations may occur. 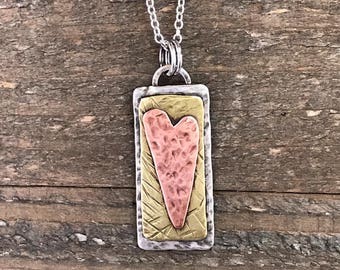 Each piece is created after it is ordered and is unique. "Imperfections" or "flaws" add to the character and uniqueness of each piece.